The U.S. Consumer Product Safety Commission and Health Canada, in cooperation with Fisher-Price, today announced a voluntary recall of about 110,000 Little People Play ‘n Go Campsites™. The plastic Sonya Lee figure in the play set can break at the waist, exposing small parts that pose a choking hazard to young children. The firm has received eight reports of the Sonya Lee figure breaking. No injuries have been reported.This recall involves the Little People Play ‘n Go Campsite. 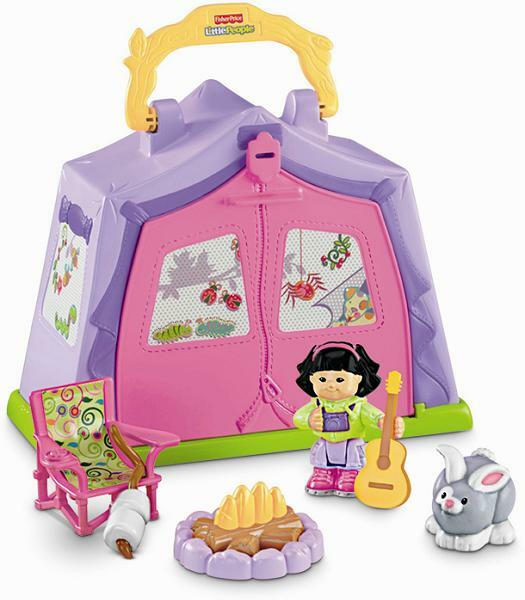 The seven-piece plastic play set includes Sonya Lee, a tent and other accessories. Product number R6935 is printed on the toy’s packaging. The name Sonya Lee is printed on the underside of the figure. Only Sonya Lee figures that bend at the waist, have a green sweater and purple camera around the neck are included in this recall. No other Sonya Lee figure is affected. The remaining pieces of the Little People Play ‘n Go Campsite are not affected. Consumers should immediately take the Campsite’s Sonya Lee figure away from children and contact Fisher-Price at (800) 432-5437 anytime or visit the firm’s website at www.service.mattel.com to arrange for the figure’s return in exchange for a free replacement figure.